Every member of the health care team has a role to play in reinforcing healthy eating principles. Melinda Maryniuk RD, MEd, CDE, shares insights and tips on basic nutrition counseling. Q: How can all members of the health care team work together to provide nutrition advice to people with diabetes? A: Ideally, people with diabetes are referred to a registered dietitian/registered dietitian nutritionist (RD/RDN) for medical nutrition therapy (MNT). The RD is the person who’s really going to work on the meal plan, provide individualized recommendations, and work with patients who have diabetes to set nutrition goals. But that doesn’t mean other members of the health care team can’t be involved in nutrition counseling. Every member of the health care team can play an important role in helping people get on track by offering basic information on eating and nutrition. Even though you’re not necessarily developing meal plans for people with diabetes, you can offer some realistic guidelines to get started. Q: What factors need to be considered when it comes to providing nutrition advice to patients with diabetes? A: Health care professionals need to think about their patients’ diabetes control such as A1C, blood pressure, cholesterol, and any medications they’re taking. These factors will have an impact on their overall nutrition plans. For example, if hypertension is a concern, lowering consumption of sodium will be important. If the person is very overweight, then calories need to be reduced. Importance. Help patients identify a personal reason why making changes in their eating habits is important. Often the ability to make and stick with a behavior change is linked with a clear reason that has been identified for doing so, for example, a reason could be wanting to feel less tired in order to enjoy the grandchildren more. Preferences & Usual Habits. What does the patient like to eat? Where do they eat? Are they in restaurants a lot? What are the cultural influences that have an impact on their food choices? What are the socioeconomic factors that affect their access to food? Are there religious considerations? Key Priority. With input from the patient, look for one change the patient can make that will likely have the biggest impact. It may be omitting (or reducing) the amount of sugar-sweetened beverages or juices. It may be making a change in the lunch they order every day from the same fast food restaurant. Get their input about what is possible, set a goal and then follow-up to discuss it. It’s helpful to get an understanding of the different influences on your patients’ eating styles, as this can help inform the depth or degree of complexity when it comes to counseling patients on healthy eating principles. Q: Is there such a thing as a diabetic diet? A: No. There is no “one-size-fits-all” diet for managing diabetes. Recommendations for meal planning will be different for each person with diabetes and their health status, such as whether they have hypertension, needs to lose weight, has nut allergies, or is a vegetarian—to give a few examples. We’ve made a lot of improvements in the last few decades making recommendations that are more personalized and based on what the person usually eats; not just based on their height, weight, BMI, body shape, activity, and calorie level. Q: What tips or resources can you share to help health care professionals assess their patients’ nutritional priorities or needs? A: Typically, health care professionals don’t have a lot of time during a patient visit to provide nutrition counseling or identify priorities around nutrition. My experience is that people often know what they need to do, so I might say to them, “Tell me what you think about your own eating style. If you needed to change one thing, what do you think that would be?” or “What would you want to work on?” This is one way to open the lines of communication to provide guidance that is relevant to the individual. Another recommendation is to ask what your patient typically drinks. Often, people are drinking a lot of sodas, fruit beverages, sports drinks, or alcoholic beverages that contribute greatly in terms of carbohydrates and calories. You can use the 5 A’s Counseling Model (Ask, Assess, Advise, Agree, Assist) as a framework to help guide your conversation with your patient. 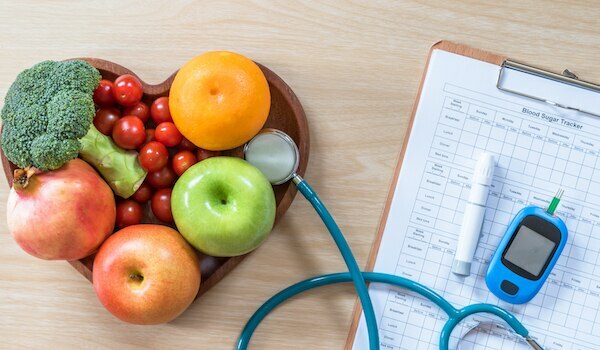 It’s also helpful to know how to access a registered dietitian and identify reliable resources, such as information from the American Diabetes Association and the American Association of Diabetes Educators, because you can’t expect to do all of this alone. What approaches to nutrition counseling have you found helpful? Melinda Maryniuk RD, MEd, CDE, has worked in the field of diabetes education for more than 35 years. As Director of Care Programs for the Joslin Diabetes Center, she worked to improve diabetes education services with leading diabetes centers around the country. Currently, Melinda is Senior Consultant, Maryniuk & Associates Diabetes Education & Nutrition Consultants.